In pursuance of the objectives of the Swachh Bharat Mission launched as a national movement on October 2nd, 2014, the Ministry of Human Resource Development (MHRD), in association with the Swachh Bharat Mission (Gramin), Ministry of Drinking Water and Sanitation, has launched a Swachh Bharat Summer Internship programme. 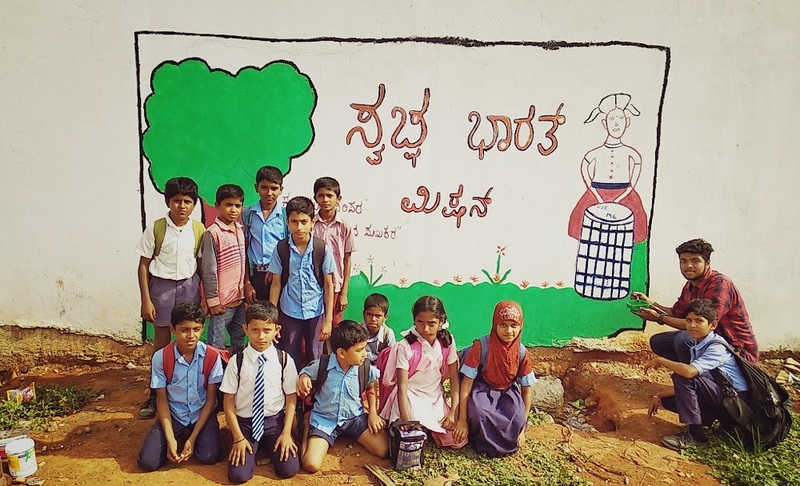 The student enrolled for the internship was expected to adopt one or more villages and conduct activities of their choice to contribute to the cause of rural sanitation in India. The objective of this internship programme is to engage the youth across the country and develop their skill and orientation for sanitation related work, amplify mass awareness on cleanliness in all the aspects of Swachh Bharat Mission. The programme is expected to not only provide a great learning experience to students but hopes to further the existing measures undertaken by the government in ensuring a clean and healthy India. The Students of CMR center for Business Studies successfully completed 100 hours of Swachha Bharath Internship as per the guidelines of Govt of India. During this period, they interacted with the people and households of villagers under Baglur Grama Panchayat and helped in setting up systems for sustaining cleanliness and sanitation efforts under Swachh Bharat Abhiyan. This was initiated by the 2nd year MBA students under the leadership of Mr. Rahul K Ravi along with his group members Mr. Dharanendra K S, Ms. Shylashree M, Ms.Lavanya, Ms. Aparna Y C and Ms. Anusha G. This programme was undertaken from 4th July to 31st July 2018.